4. How does wireless work? Home Introduction to Network and Wireless 4. How does wireless work? 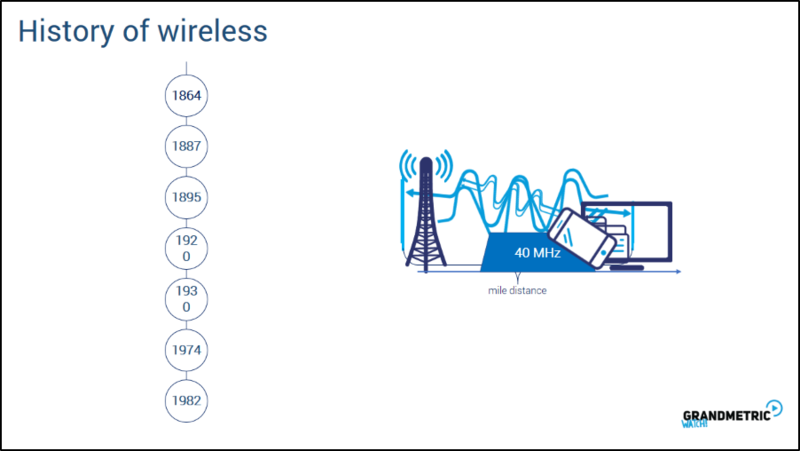 Wireless communication has developed at a high rate. Wireless however is not a new invention. In 1895, Marconi sent radio signals over more than a mile. In 1930, BBC began television experiments. In 1982, European GSM was established. This is where we can say that modern wireless communication began. 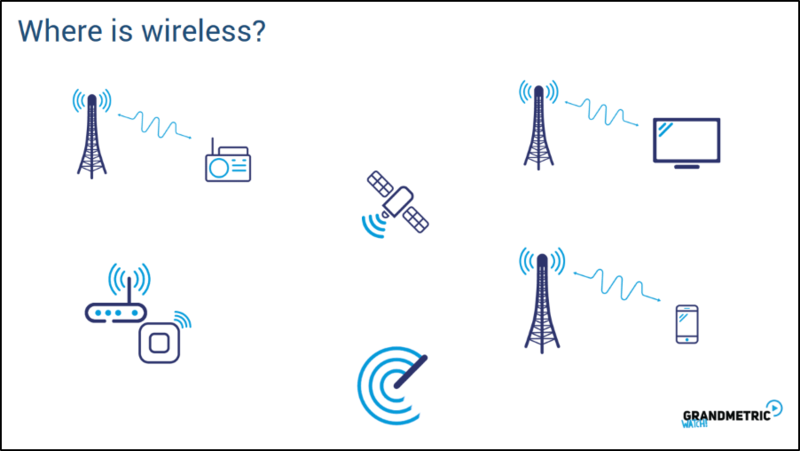 Wireless can be used not only to transmit the data. For example, radars are based on waves. Where does exactly wireless start? First, we need a device, called transmitter, which has an antenna. Inside transmitter, there is an oscillator, that is connected to the antenna. 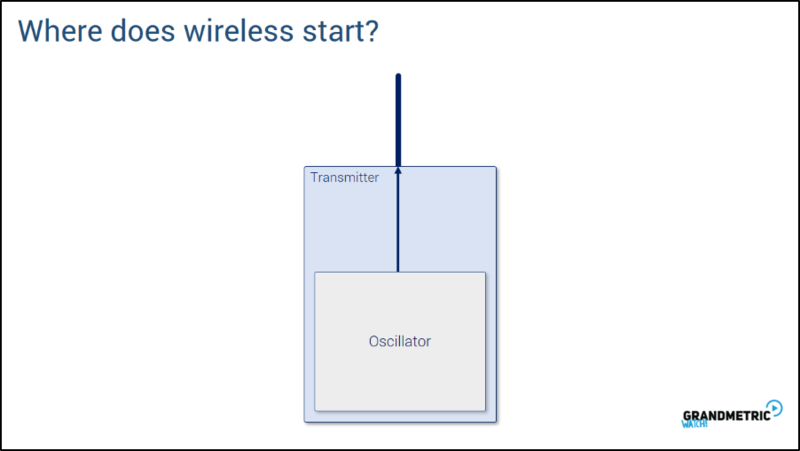 Oscillator creates signal that propagates through the wires to the antenna. Antenna is a conductor, so signal propagates further towards the end of antenna. Signal generated by the oscillator is generated continuously and antenna radiates that signal into the air as an electromagnetic wave. Signal in the antenna is an electric current, while propagated signal is wave. 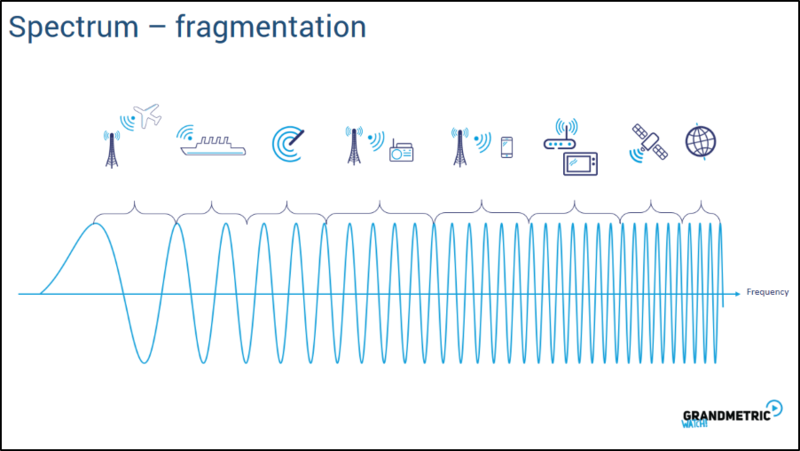 In order to communicate using wireless we need more than just transmitter with an antenna. 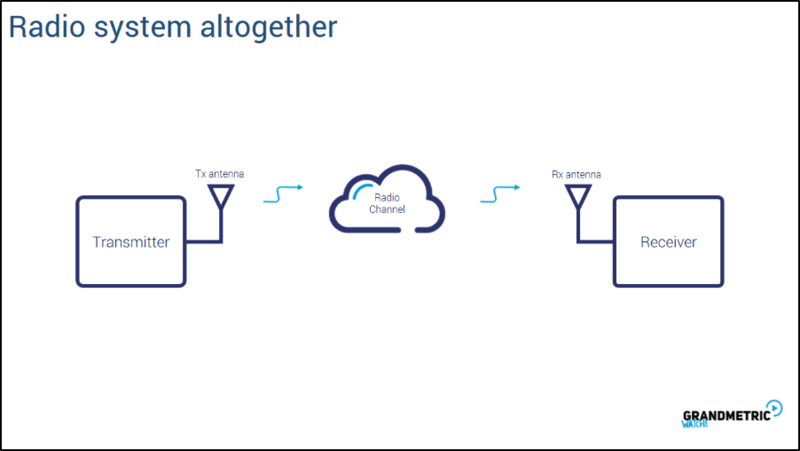 Signal radiated by the antenna goes into the channel which transports the information and finally reaches the receiver. In order to capture the data, a receiving antenna is required, which intercepts the radio waves and converts them back to the current.